Griffin Knight w/ Pole Arm. The griffin knight has designed his pole arm on his own and assigned a famous armourer to craft it. Afterwards, he spent many months practising and developing new fighting techniques. Now, he is a master in pole arm combat. Nevertheless, he keeps perfecting his weapon time and again. He has become a dreaded knight long ago, and all his foes are startled as soon as they see his weapon from afar. 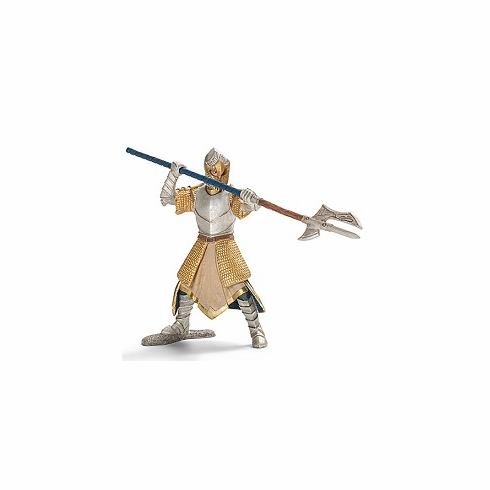 Knight Measures approximately 3.75" inches tall , Sword Measures 4.75" tall.